Warhammer 40k Orks (and more): I won the Star Trek Attack Wing Portland regional! I won the Star Trek Attack Wing Portland regional! 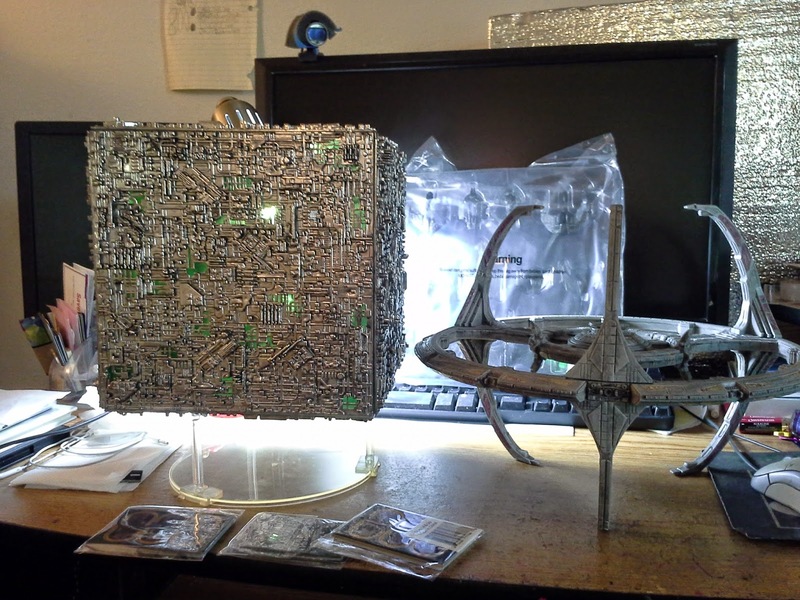 Loot from the tournament today at Rose City Comic Con - Borg Assimilation cube and a DS9 model, plus a GenKhan card and the cloaked ships from GenCon, plus extra set of DS9 crew cards. Quite the haul. It was awesome! Studio Update and 200,000 views! The Mek Guns are done! The Mek Guns are done!